5 Today Minions Birthday Card | Minion Shop. 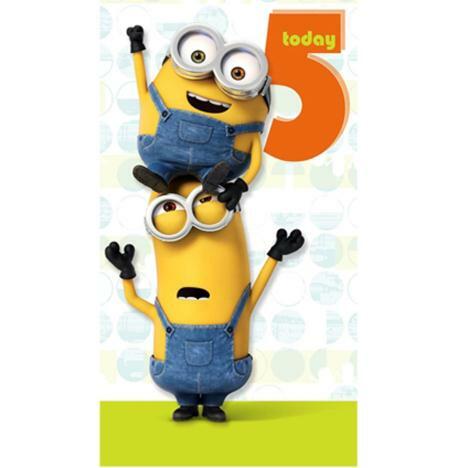 The message on the cover of this birthday card reads "5 today." The inside message reads "Have a totally Awesome 5th Birthday."